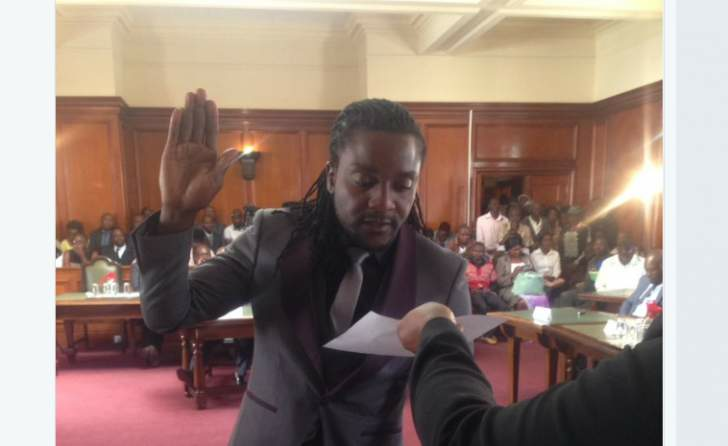 BULAWAYO Mayor, Clr Solomon Mguni, has said there is no vacancy for the deputy mayor's post as the MDC yesterday insisted that Clr Tinashe Kambarami who was re-elected to the post on Monday must step down. In a show of the circus obtaining at the MDC run council, last week on Monday the opposition party ordered Clr Kambarami to resign as the city's Deputy Mayor or risk being expelled from the party and being recalled from council. In response, Clr Kambarami verbally resigned on Sunday in a meeting held with the MDC leadership including its president, Mr Nelson Chamisa, paving way for fresh polls the following day. However, Clr Kambarami was re-elected unopposed as the city's Deputy Mayor exposing simmering divisions in the party. The MDC had recommended Clr Mlandu Ncube to be the Deputy Mayor but lost to Clr Kambarami in polls held in September and did not take part in Monday's election. Speaking in his capacity as the city's Mayor, Clr Mguni said as far as council is concerned Clr Kambarami never resigned from the Deputy Mayor's post. He described Monday's election as a nullity. "To us in council it was a non-event because there is no vacancy at City Hall. As a Mayor I had not received a resignation letter from him and the Town Clerk (Mr Christopher Dube) had not received the same letter," he said. "We are saying there is no need for the Deputy Mayor election because there is no vacancy. There was no vacancy yesterday and there is no vacancy today as it was not there on Friday and Saturday or Sunday." Clr Mguni said if Clr Kambarami had resigned he should have done so in terms of the Urban Councils Act which compels a resigning officer to do so through a written submission to council. He said fissures in the opposition party were not affecting council business. "Councillors are attending council meetings. Recommendations are coming to full council and tomorrow we are having a full council meeting and we are going forward in terms of service delivery. We might have a problem within a political party but not in council. He (Kambarami) is still discharging his duties as usual," said Clr Mguni. "He is the Deputy Mayor of the city. He does his duties and I'm the Mayor of the city I do my duties. He might not be my friend but we are doing the job which we were elected for." He said what led to some councillors walking out of an alleged re-election meeting on Monday is their understanding that there was no post to be filled. However, MDC national deputy spokesperson, Dr Bekithemba Mpofu, said Clr Kambarami is still in defiance as he has not resigned as the city's Deputy Mayor. "The indications that he gave us is that he said he was resigning and we are waiting that he tenders that resignation to the officers at Town House. He hasn't resigned as you highlighted so anything else is being considered as defiance," said Dr Mpofu. He said the party would be forced to take appropriate action if he remains defiant. Dr Mpofu said he was not well informed about developments that occurred on Monday where the party's national chairperson Ms Thabitha Khumalo insisted that an election be conducted despite the party's vice president Professor Welshman Ncube opposing the move. Sources in the party said the Deputy Mayor's issue was just a side show as party factions were fighting to control the province. MDC secretary for local governance Mr Sesel Zvidzai yesterday dismissed a letter purporting to be coming from him claiming that Clr Kambarami had been expelled from the party saying his office has no capacity to do so. Efforts to get comment from the party's Secretary General Mr Douglas Mwonzora were fruitless as his cellphone was not reachable.